UPDATE: The U.S. Supreme Court has declined to hear the appeal of Joshua Nisbet of Maine, who was stripped of his constitutional right to an attorney! Below is my post from last week about Nisbet’s case. This week could be a big one for Maine legal news. The U.S. Supreme Court is reconvening Monday for its fall session and is expected to announce soon which cases it will take up. The interesting case of Joshua Nisbet of Maine, petition No.15-9565, is in the mix. The court often receives more than 1,000 requests per session and usually hears only about 80 of those. It could be a long shot, but Nisbet’s case has a better chance than most. Nisbet is the only criminal defendant in Maine ever to be denied his constitutional right to be represented by an attorney at trial. He was charged in 2011 with holding up a convenience store in South Portland at knifepoint. While jailed after his arrest, he went through five court-appointed lawyers leading up to trial. They all quit, citing various reasons, each essentially saying he was far too difficult of a client. His fourth and fifth lawyers claim Nisbet threatened them during a jail interview leading up to trial (high-powered BB gun/will shoot you in the eye/!!!). And that’s when one Maine judge drew a line in the sand. Justice Thomas Warren ruled over Nisbet’s protests that Nisbet had forfeited his right to an attorney. The judge ordered Nisbet to represent himself at trial, though Nisbet had no legal training whatsoever. That’s huge. Every person charged with a crime in the United States has a right to an attorney. Nisbet is now asking the nation’s highest court to intervene and grant him a new trial, this time represented by a lawyer. If the U.S. Supreme Court takes the case, the issue becomes way bigger than just Nisbet’s individual case. His appeal asks, how sacred is the constitutional right to an attorney? Justice Warren issued his order in March of 2014. Shortly afterward, I became fascinated with Nisbet’s case while working as a reporter for the Portland Press Herald/Maine Sunday Telegram. 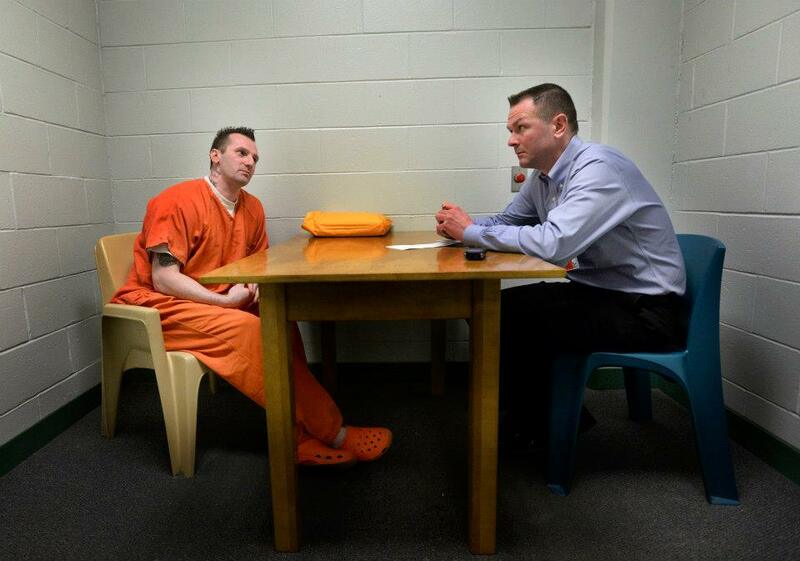 I interviewed Nisbet at the Cumberland County Jail in Portland on April 4, 2014. The jail staff made a big deal about safety at first, making me remove my tie as a possible weapon that Nisbet could use against me. They inspected my pens and digital voice recorder. But when I finally got in the room with Nisbet, the guards outside the interview room didn’t pay any attention to us at all. Nisbet was intense, but exceedingly polite. We shook hands, spoke for about an hour and he thanked me for my time at the end. Here’s the article I wrote from that interview. Nisbet’s trial was a disaster. I sat through most of it, including jury selection. Nisbet tried really hard to act like a lawyer, but he barely even mounted a defense. He didn’t even bother to cross-examine the lead investigator in the case against him. Total forehead slap, but no surprise since he had no training. 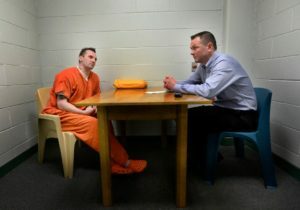 Nisbet was convicted by the jury of armed robbery and is now serving a seven-year prison sentence at Maine State Prison in Warren, Maine. His earliest possible release date, according to the Maine Department of Corrections website, is Sept. 3, 2017. He appealed his conviction to the Maine Supreme Judicial Court, but he lost that appeal in a 5-0 decision on March 1, 2016. Since his conviction, Nisbet has again been allowed a court appointed lawyer. 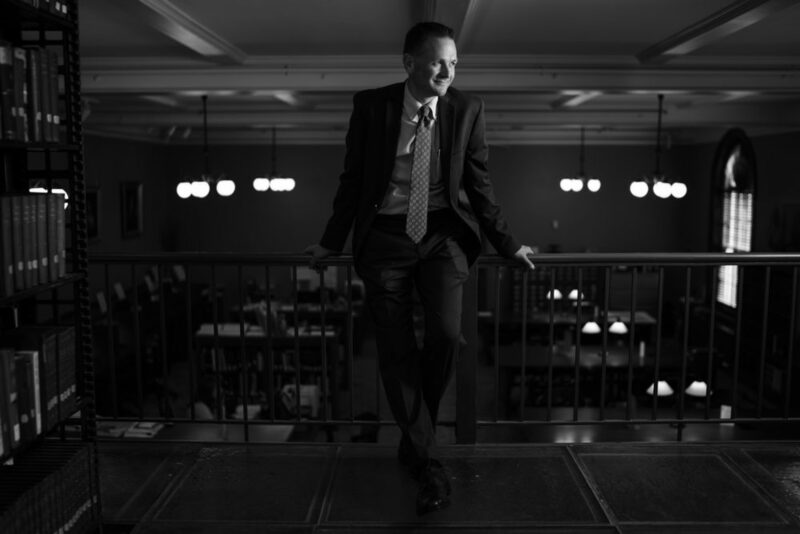 Attorney Jamesa Drake continues to represent Nisbet through his U.S. Supreme Court appeal.